Just been to Krabi and back with Ellis, and we had a great time. Clear-water blue seas, lots of beaches and sunshine. Krabi is a place for relaxing and spending the best of your summer. In this post, you will get the breakdown on the cost, where to go, stay and how to maximise the value of your travel budget. The total cost for two person is SGD $1400 all in. This works out to SGD $700 per person. If you are travelling alone, the cost will be higher. It is more cost-effective when travelling in pairs - think of hotel room and taxi. If you are on a tighter budget, you can leave out activities like spa and canoeing trip. Also, watch out for special flight and hotel deals that can give significant cost-savings. Ellis and I researched the hotels using booking hotel booking websites (Zuji, tripsadvisor.com.sg, agoda.com, hotels.com, hotelclub.com) to compare the prices. 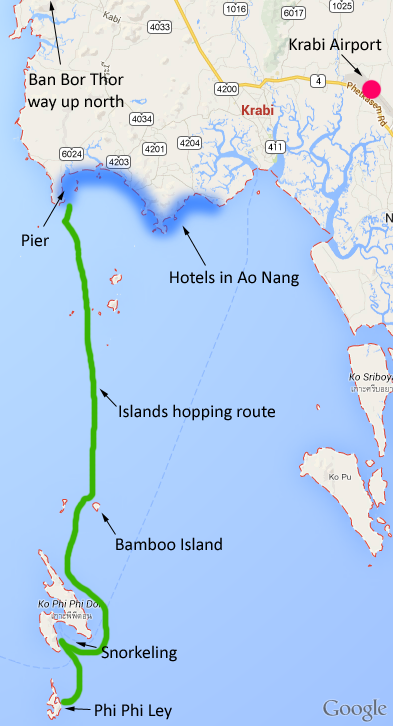 The hotels are located at the Ao Nang area where the beach is so you will not be staying in Krabi Town. We zoomed in on the location, then sorted by the price and ratings. We checked for things like hotel view (pool facing, courtyard-facing) and breakfast price. One really useful feature is going through the guest comments and photos in Trip Advisor. If the guests are saying about dirty rooms or beds, it's always good to verify by checking the photos. For example, I read from the guests about dusts and noise at the Holiday Inn resort because of its expansion and I saw it for myself while in Krabi. Therefore, I highly recommend that you check out Trip Advisor. As for the final booking, I did it through HotelClub. It had a DBS card promotion that gave a 12% discount after applying the promotion code. Although the promotion is over, you should check if your banks have any credit card promotion going on. Also, the HotelClub lets you accumulate of dollar rewards to offset your next hotel booking. For my booking, I had a 4% reward. 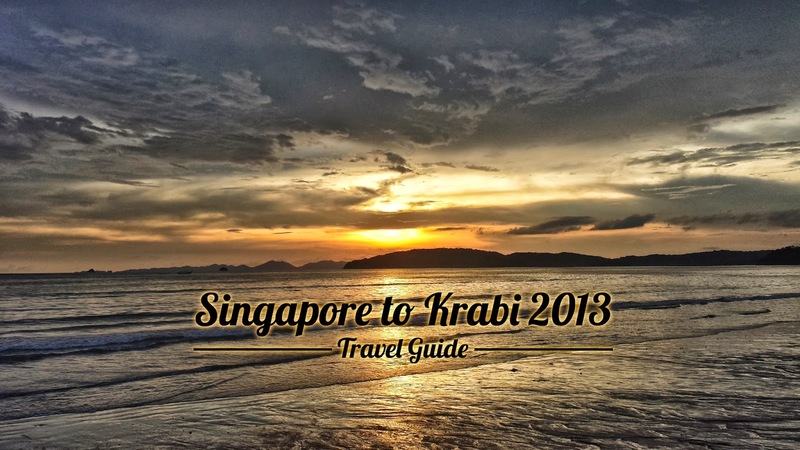 The budget airlines that goes to Krabi airport are Tigerair and AirAsia. When I was buying my tickets from Tigerair, I was scrolling through a long page of upgrades - "Check-in your luggage? ", "Choice of seats? ", "Priority boarding? ", "Meals? ", "Insurance?". The cost quickly adds up as you check those options and that is how the budget airline earns. For example, I choose the insurance option ($15) out of convenience. On the day of departure, I experienced the foolishness of Tigerair's "web check-in": it is a process where you check-in online the 48 hours before your flight and get assigned to a seat. You are asked to print a confirmation slip. However, this is not the boarding pass and you cannot get through the immigration counter. The immigration officer will direct you to Tigerair counter to exchange your confirmation slip for the boarding pass. I waited twenty minutes in the queue for this. The alternative is the old fashion way: queue up at the Tigerair counters and get your boarding pass. How easy is that? Unless Tigerair improves its current process, I will avoid doing web check-in. Do not be alarmed when you look out of the airplane as it is landing and you see farmlands and forest. This is Krabi airport, in the middle of nowhere, next to a highway. I had arranged for airport transfer through my hotel and it cost THB $350 (SGD $14) per person. Ellis and I were the only passengers on the spacious and comfortable mini-bus. You need airport transfer because all the hotels are at Ao Nang and it is a 28 km (30 minutes) journey. Getting back from the hotel to airport was cheaper at THB $500 (SGD $20). I booked the a trip from one of the many of taxi companies at Ao Nang. Now that I think about it, you probably can get one when arriving at the airport for that price too. Upon reaching Centara Anda Dhevi resort, I was given a warm welcome by the staffs and waited to check-in. I sat at one of the many wide cushy sofas in the lobby. The lobby is open-air and spacious with water features running along its length. As your senses take in the warm daylight, fresh air and trickling water sound, you feel relax and calm. 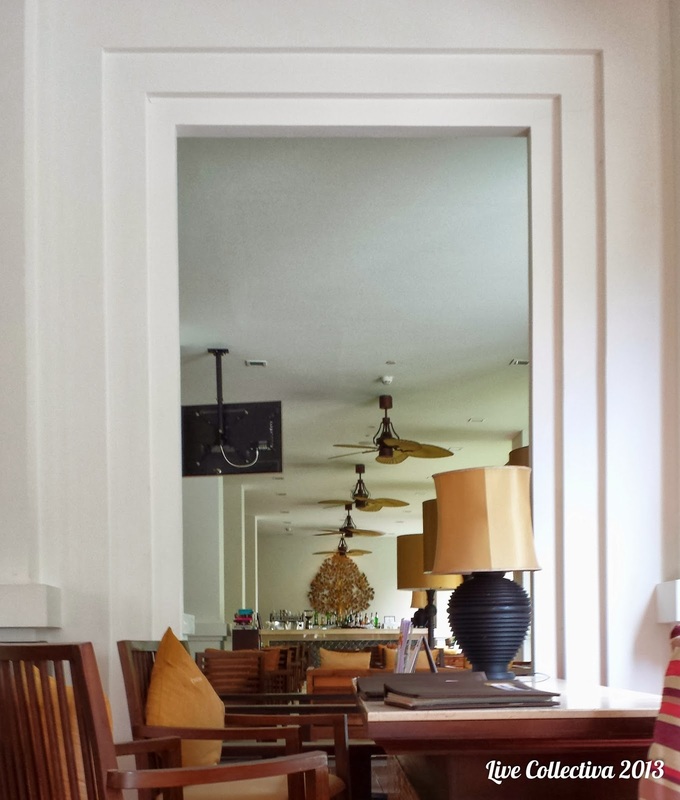 This resort ambience permeates every corner of this hotel: the lighting, the decor and the layout of the buildings. The counter staff came over to greet Ellis and I and brought us up to our room. Along the way, she showed us the swimming pool, spa, told us the opening hours, the breakfast timing and the wifi details. By walking us to our room and opening our door, the staff checked that the card key is programmed correctly and the room is tidied up. To me, this is attention to details. Have you been to a hotel where you are given the key card and you are left to figure out how to get to your room? I sure have. The room that I stayed in is big. It's so big that the bed is made up of two king-size mattresses put together and there is still plenty of space for two arm chairs and a coffee table. The toilet has a bathtub and a showering area. I wished the TV was bigger though. When you have a room this big, a 32-inch TV looks tiny on the wall, especially where the head of the bed is further away from the TV. The balcony overlooks the swimming pool and you get a really nice view. You do not have to worry about noisy parties by the pool. The glass sliding door blocks out all the sounds including the music from the pool. It's early morning and the party has not started yet. 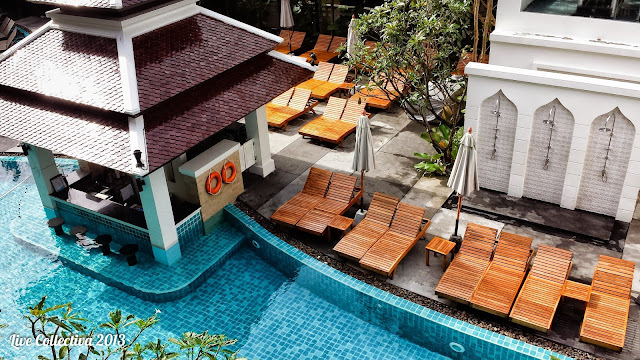 The swimming pool is the highlight of the hotel. There are always people relaxing on the deck chairs to great music and sunshine. There is a small island in middle of the pool with a single palm tree and a basketball attached to its trunk. Kids and adults play with balls in the pools or busy themselves with the water slide. The pool bar lets you swim right up to it and order a drink from the friendly bar tender. The jacuzzi on the right edge of the pool puts out strong jets of water to give you a full body massage. Thursday is BBQ night where the staff cooks up a yummy grilled burger (chicken or beef) accompanied with fruits and beer for you to enjoy by the pool. All these for THB $300/ SGD $12. I shared a plate with Ellis, after a swim, and we were both delighted by the tender chicken patty. The gym is on second level of the building opposite my room. Gym rats who needs their morning kick, have ran to the rude shock of seeing a half-naked guy brushing his teeth at the balcony every morning. Once done with washing up, Ellis and I will head down for breakfast. Breakfast selections is a mix of western and thai - bacon, sausages, varieties of ham, baked beans, pancakes, French toast, varieties of breads, cereals, muesli, yoghurt, fruits, noodles, stir fried chicken, pork congee, six different types of cooked eggs. The breakfast is good and I look forward to it every morning. Going to the spa is an activity that completes the Krabi experience and I highly recommend you do one session. Cenvaree Spa is the name of the spa in our resort. It offers body polish, aromatherapy and massage. The price is around THB $900++ for a 1-hour massage to THB $2200++ for a 2-hour everything combination. Ellis and I took the promotional offer that include body polish and massage in a two-hour session. It costs THB $1765 (inclusive of 10% service, 7% VAT) or SGD $70 per person. I chose to do the package as a couple so that they put both of us in the same room. Starting off with the body polish, the masseur rubs hot salt and oil all over your body for 30 minutes to get rid of the dead skin and grime. After a quick wash, the massage started off with the sounding the singing bowl once to put your mind in a relaxed state. Looking down through the hole in the bed, I could see a bowl with coloured sand depicting the yin-yang symbol and sea shells adorned the edge. This totally blew my mind. Instead of staring at the wooden floor, you have a beautiful object to look and one that sends a message: balance and serenity. My masseur, Ying asked if there were any areas of the body to focus on. I told her about my stiff shoulders and lower back, and she was crushing my organs and choking me the next moment. No pain, no gain. The massage reached deep into my muscles and it was effective. I recommend going to this spa as their service is top-notch, the facility is clean and the entire experience is well thought-out. 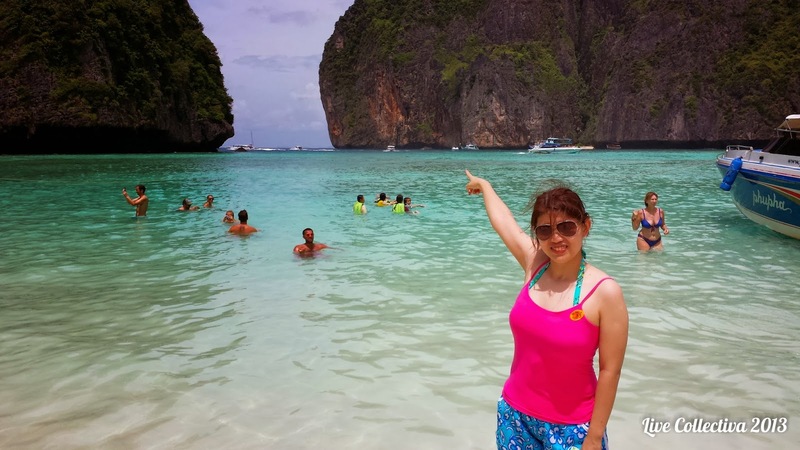 The island hopping trip is a local tour (THB $1500/ SGD $60 per person) that I booked upon reaching Krabi. The hotel concierge helped with the call and payment. The next morning, Ellis and I boarded the 8:30 am bus to the pier. After getting the ferry passes, we got unto a boat with five motors. Prepare to get wet from the get-go. There is no plank from the shore to the boat. You have to step into the sea and climb up the steps to the boat. I brought a dry bag on this trip to put my valuables and electronics in it. I also bought an extra thick canvas dry bag that is selling everywhere in Ao Nang - a 15 litre one cost THB $500/ SGD $20. The tour guide gave an introduction (I forgot his name) and our itinerary for the day. The first stop was Bamboo island where we had a short swim in the clear sea. It takes about 20 minutes to reach that island. If you follow the green route that I have marked the map, you will have an idea of the trip. I also included the some extra information on the hotels and airport. My tour guide, in his thai-accent English, is a funny man. He repeats every phrases and sentences twice, "We will be going to Phi Phi Ley next... going to Phi Phi Ley..." If you miss a word or two from the roar of the engine or waves, you can always catch his replay. His concern for your safety can felt by his imaginary morbid endings if you do not heed his warnings. Then there is his constant screaming of "Sit down! All of you sit down now!" to keep up order on the boat, which is necessary when you have thirty people crammed on a small boat. After an hour swim, the boat brought us to Monkey Island and Maya Bay (where The Beach, starring Leonardo Di Caprio, was shot). Boat-loads of tourist swarmed the popular beaches and finding an empty spot to park the boat is hard. At Phi Phi Ley, we got off to the beach for a 40 minutes swim. The water here is super clear as well. The beach is like a sanctuary surrounded by cliffs and the only way in is a small entrance. That entrance only exists because of hundreds of years of erosion. The are many cliffs in this area. Some of them of are towering with jagged rocks and steep walls, making them inhabitable to humans. The ones that have enough flat land and beaches have become tourist spots. Next, the boat brought us Phi Phi Don which is the biggest island in this area. It is big enough to house many resorts and stalls and I had a simple buffet-styled lunch here. After lunch, it's back out into the sea and it's time for the highlight of the trip - snorkelling! There were snorkelling gears on the boat which you can borrow. The boat anchored not too far from the shore. In the photo below, you can see the resorts in the background. Wearing a life vest, I dive bombed into the sea. It took me several minute to get accustomed to breathing through the snorkel. In my excited state, I was breathing too fast and doing it with a snorkel is a labouring experience. After some practice, I could swim face down in ease. It is such a great joy to see the colourful fishes. The tour guide threw breads into the sea to attract the fishes. I stuck my head into the pool of fishes and they were flipping on the water surface out of panic. There were many sea urchins on the floor and I was careful to avoid them. The tour guide dived down to the sea bed and picked up a sea cucumber. I got to hold it and it felt spongy-hard, a weird sensation. After an hour of snorkelling, everyone was back up on the boat drinking coke and sharing their experience. As the boat sped back to the pier, rain fell and pelted our face. It wasn't long before everyone dozed off from the long and eventful day. I did the Bor Thor trip on the third day. The full day trip is THB $1500 / SGD $60 and the half day trip is THB $1000 / SGD $40. Although I took the full day trip, I will recommend the half day because you will not miss out a lot. I knew that we are kayaking through the mangrove swamp and there will be some trekking. What I did not expect is the fitness demanded and you have to put up with the constant mosquito bites. The kayaking distance is about 4km and you will be rowing against the current at certain points of the trip. You do not need experience and it's best if you are not afraid of water. If you still want to do this, prepare a large straw hat (you can get one for THB $100), sunscreen, insect repellent and a strong spirit. A mini-bus picked Ellis and I up from the resort and some other tourists who have signed up. Once done, it's almost a 40 min ride to Ban Bor Thor. This is a good time to catch some rest on the air-conditioned bus. Upon reaching our destination, we made our way to the floating platform which houses a kitchen, dining area and a storage area for kayaks. The tour guide distributed dry sacks and water bottles. His instructions were simple: put your valuables and water bottle into the dry sack, leave everything else behind, don your life vests and grab a paddle. Knowing how and when to row backward is important. The mangrove swamp has branches and leaves that juts out from the shoreline and hangs very low. Bashing through them is painful and you can hurt yourself. If you cannot avoid them, back-paddle while changing direction at the same time. Some parts of the swamp have narrow width that winds left and right. Visualising the path in advance is important. The front person needs to communicate to the back person on the direction the kayak needs to take. I tried to map out the route that I took during the kayaking trip on Google map. After switching to satellite view, it is still difficult to make the stream of water through the vegetation. See the thick foliage and tiny stream of water is in the photo beside. 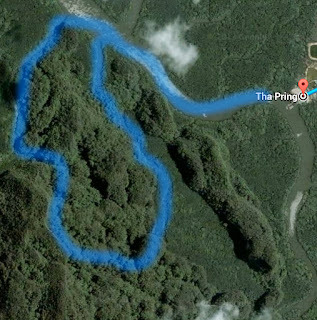 I have marked the route in blue based on my memory and hints of vegetation outline on the map. 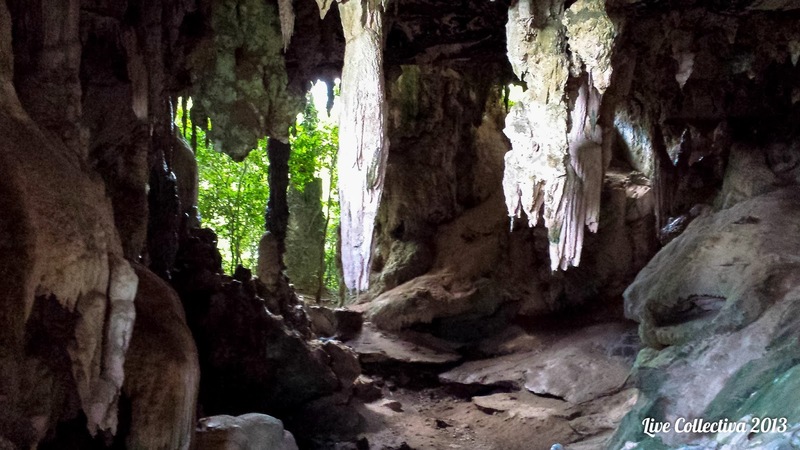 Along the way, we disembarked from our kayaks to visit the Tham Pee Hua Toe cave which has historic paintings, stalactites and stalagmites. The things that I remembered the most on this trip are the mosquitoes. I killed more than twenty of them. Unlike the urban mosquitoes, the swamp mosquitoes are brown in color, slow-moving and very easy to kill. You can press your finger on them when they are stationary and they will not avoid you. Ellis complained that I was spending more time killing the mosquitoes than helping to paddle. En route to the pier, the sun was blazing hot. Ellis and I were feeling the fatigue from paddling and the heat was sapping away our strength. The way back was paddling against the current. If you stop paddling, you begin to slip backward. If you paddle too slowly, your kayak remains stationary. Out of nowhere, another tour group came up from behind and they were moving very fast. It like they are from the Olympics team. And then it started raining. How can this be happening?! Soaked to our undies, the current was even stronger now. I had to grit my teeth, bear the pain searing through my arms and paddle the kayak of my life back to shore. As I clambered on the floating platform, it felt good to be alive! Looking back, I really hated this kayak trip for all the pain and mosquitoes. Hotels, resorts, restaurants, bars, shops, a tourist information centre lines the beachfront of Ao Nang. When it comes to eating, there are plenty of restaurants to choose from. However, the price is on a high side. A simple dish is between SGD $10 to $20. This is same as Singapore price range for food in restaurant. My guess is that Krabi is a touristy area and they charge a higher rate. I was hoping to find hawker food prices here but I only found them in Krabi Town night market. There is not much of a crowd in Ao Nang. Any locals here are working to help with the tourism industry. Majority of the population here are tourists from different countries: Americans, British, Germans, Indians, Malaysians, Pinoys, Koreans and Japanese. The beach is very shallow so when there tide is low, the sea is very far out. There are two types of beaches here. There is the sandy type with plenty of colourful broken shells. Just another cliff away, the beach is of the muddy type. When you step on the mud, it feels like warm hand is caressing your feet. In the mud, there are millions are small crabs, snails and worms. You should definitely check out both beaches. In the day, the sky and the sea is blue. This changes as the sun begins to set. At around 5:30pm local time, the sky turns golden. Every minute the colour changing to a darker orange. As the angle of the sun reflecting off the cloud changes, the shape and shadow of the clouds changes with it. You can see a golden ball going down the distance hills at around 6pm. In the last few minutes before the sun sets, the sky is at its most spectacular. If you stare at the sky and clouds, you can see very far off into the horizon. The clouds look like misty buildings in a city. Resist the urge to snap photos. Sit back and enjoy the spectacular show that nature has provided. 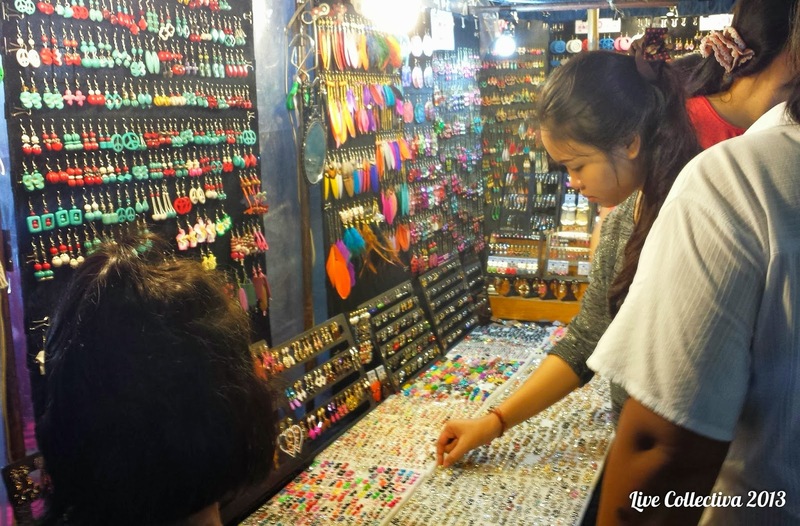 When you finish watching the sunset, it's time to head down to the night market. There are different night markets. 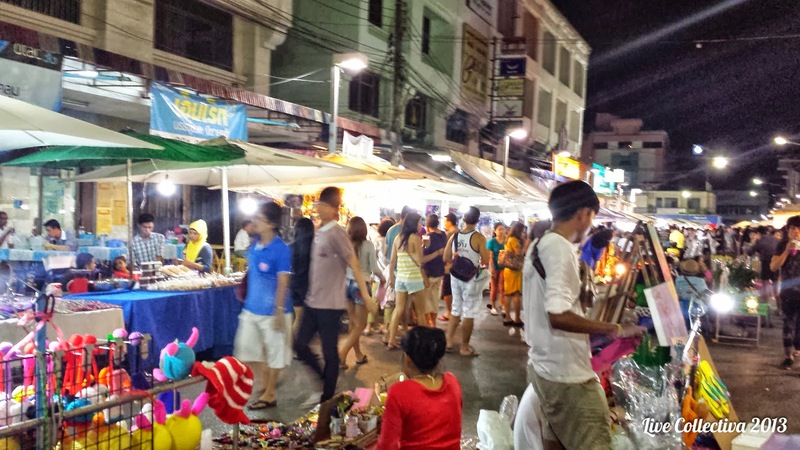 The Ao Nang night market takes place on the weeknight. The stalls are on one road lane while vehicle traffic continues on the other lane. I couldn't tell that this road had a secret when travelling in the day. There are BBQ meat, potato rings, pad thai noodles, mango salads, fruits and many more. Ellis claims the THB $80 pad thai is way better than what she at Thai Express. We bought some snacks and a pomegranate to try. There are stalls hawking clothes, perfumes, bags, watches and household items. It's rather small and you can finish walking in about 40 minutes. We took a tuk tuk there and the round trip costs THB $200. The driver will wait for you while you walk around. The trip from my hotel took only 10 minutes. 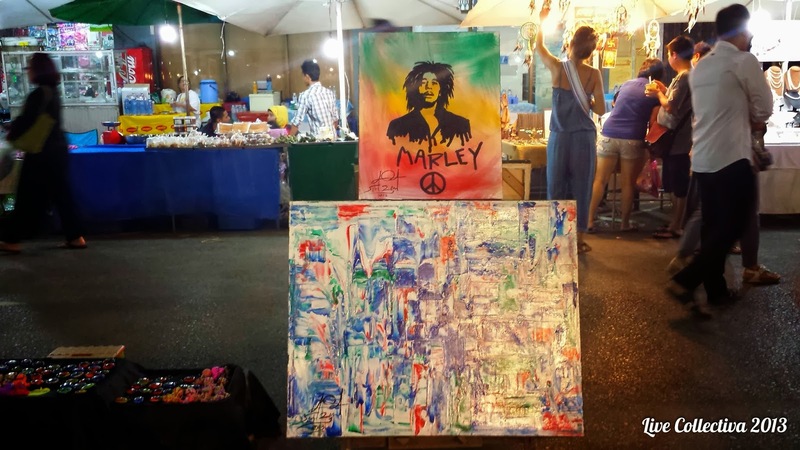 Starting from Friday night, the Krabi Town night market takes place over the weekends. Getting there is expensive. An open-air red taxi costs THB $800 / SGD $32 for round-trip. The more people you have, the more value for money for your trip. I saw the driver quoting a family of five for THB $1000. The drives take about 40 minutes. As tourists in Ao Nang make their way to Krabi Town, it causes a short traffic jam in Ao Nang. This quickly clears up as you hit the expressway, letting you enjoy the cool night breeze. 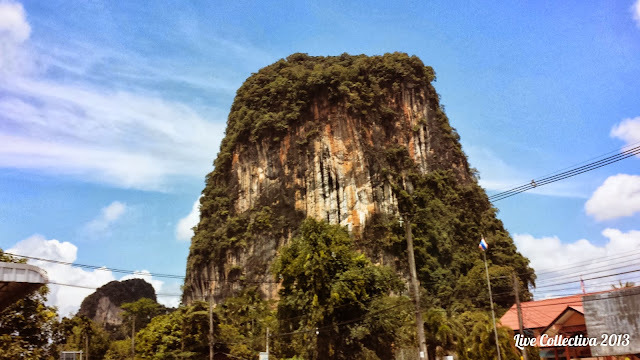 Even in the dark, the white cliffs of Krabi tower precariously along the side of the road. Arriving at our destination, the driver gave us general directions and told us to meet back here when we are done. Ellis and I hit the wet market first where it is selling vegetables, fruits and meats. There is some food stalls around and we had our dinner in one. I had two bowls of delicious beef noodles (THB $80 each) and Ellis had pad thai. After dinner, we walked over to the night market. Turns out there are even more stuff to eat here. In the middle of the night market, there are tables and chairs set up in an open area. You can order from any stalls and have it at your table. It's like our hawker centres in Singapore. We bought a coconut to quench our thirst and a big custard apple (half kg for THB $100). I tasted the custard apple in the hotel room later and it was sweet and fresh. There are many display of talents in the night market. I watched a caricature artist drew using a single pencil. He was able express the tone and stroke with a single piece of lead and each piece took him only three to five minutes. I saw a middle-aged lady making decorative art pieces out of plastic bottles. By using a soldering iron without the solder, she craved flowers and leaves outline out of green and white 1.5 litres soft-drink bottles. Further down, there was a group of young children dishing out instrumental music using all kinds of instruments. There are small gifts you can buy for your family and friends here: ear rings, hair clips, nail art, t-shirts, note books, purses, watches. Girls can go for the decorative accessories as it is affordable and you don't find them in Singapore. Ellis brought some hand-made hair clips which I found them pretty and unique. We spent about an hour plus walking around before heading back to our hotel. If you are the beach-boy type who enjoys the great sunshine, Krabi offers plenty of beaches, resorts, snorkelling and scuba diving. The pace of life is slower here. The locals commute around in motorcycles with their groceries on the front baskets and kids sharing the seat in front. Tuk tuk drivers laze in their vehicles, chatting with colleagues and coax you to take a ride when you walk past. It does feel touristy and that cannot be helped when you have hundred hotels and resorts in Ao Nang trying to earn your dollars. I hope that the community and children have benefited from our presence here. Krabi is a nice place for a quick getaway if you are living in asia. Otherwise, you will be able to find more spectacular beaches at other places. Lonely Planet Discover Thailand (Country Guide) - If you are interested in exploring Thailand, check out the Lonely Planet's guide or visit your nearest library. Discover Thailand 2 also available from Book Depository (free shipping to Singapore).